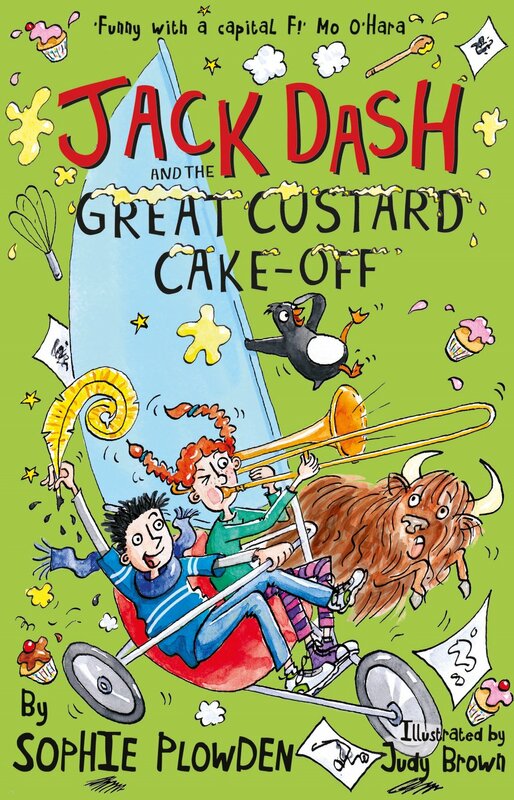 This week sees the publication of Sophie’s Plowden third book Jack Dash and the Great Custard Cake-Off and we asked her where the ideas for her crazy and hilarious stories all come from…. I think of my mind as a vegetable soup, which has been gently simmering on top of the oven for several decades. Now and again, I lift the lid, and the whiff of a story curls into my nostrils. And if I dip my spoon in, I can actually taste the individual ingredients: the onions and carrots and potatoes of experiences that fell into the saucepan many years before. The main inspiring ingredient of my Jack Dash series is a book that my mum gave me for my sixth birthday. A Chinese folktale, it told the story of a boy who owned a magic paintbrush; I clearly remember being enchanted by the illustrations. Ten years later, I watched a film called ‘Bedazzled’, about a man who was granted seven wishes, but the problem was that his wishes never turned out quite the way he’d imagined. It was the funniest thing I’d ever seen. This became another inspiring ingredient for my ‘mind-soup’. Many years, and a couple of onions and carrots and potatoes later, I lifted the lid, and I smelt a story. 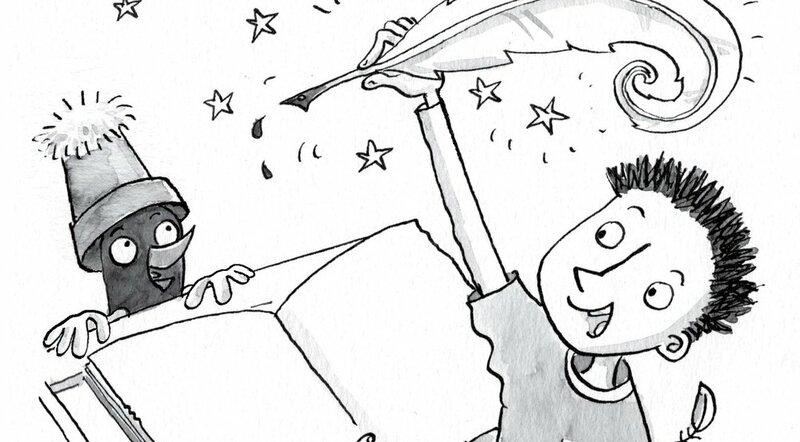 I flipped my laptop open and I started to write about a boy called Jack, who finds a magic feather that makes his drawings come to life. But Jack has a problem: he’s not very good at drawing, so his pictures never turn out quite the way he imagines. I rubbed my hands together and smiled to myself – I had the recipe for a disaster.